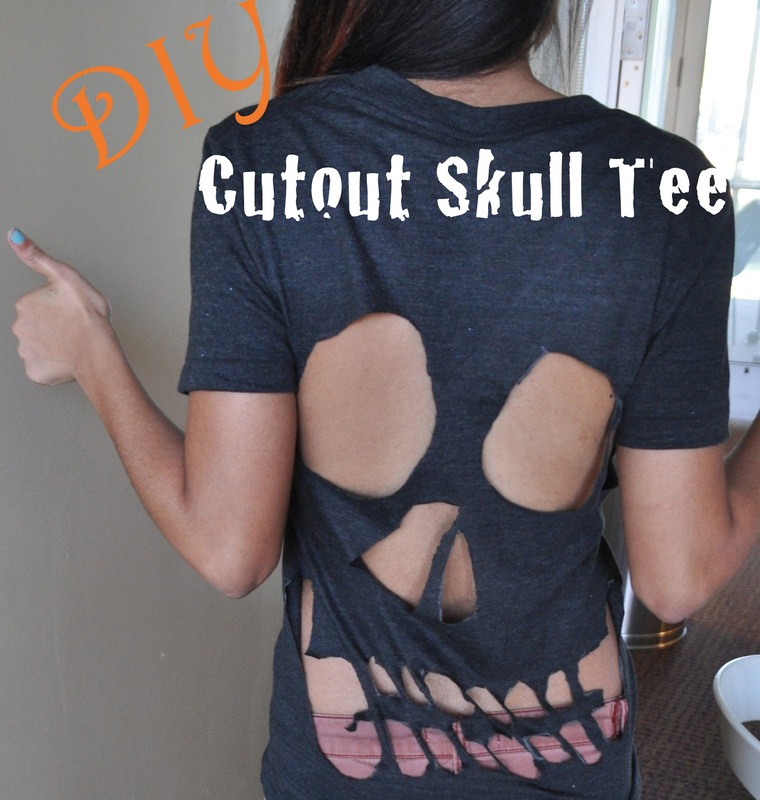 Halloween is only a week away, and if you want to celebrate the holiday without looking too cheesy, try out this four-step DIY skull tee. This shirt is perfect for lounging around on a lazy day, or can be dressed-up for the weekend! If you don’t want to risk one of your favorite tees in order to try this out, head down to ACME on Ninth Street to pick up one for $5. 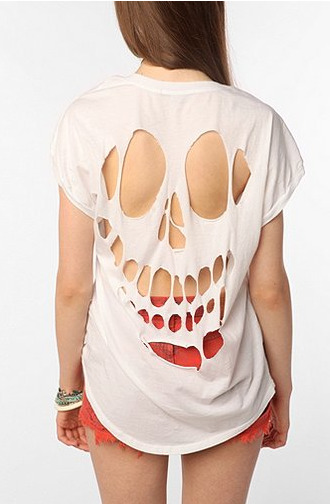 Grab your tee, and with your marker, outline a shape of a skull. If you are using a dark-colored shirt, use a silver marker. Don’t be afraid to be sloppy in your outlining—the more rugged the skull looks, the better! Make sure to space the teeth wide, so they won’t run together when you cut them out. While drawing your skull, it helps to look at a picture for reference. Below is the picture I used while making my shirt. Take a step back and make sure you like the sizing and spacing of the skull. This is your last chance to change your design! When you are happy with how it looks, move onto the next step. Start cutting out the outline you have made. The tricky part of this step is carefully cutting around the teeth. Cut too close, and the teeth will run together! If you can brave the chilly October weather, go an extra step further and make your shirt into a tank. Cut off the sleeves and neck of the shirt around the hem. Caution: This can be tricky if you haven’t tried this before. If you aren’t one hundred percent confident in your seam ripping skills, ask a friend to help you! For a complete weekend outfit, try pairing this with a plain bandeau, a dark mini skirt, sweater tights, and low boots. Your new festive shirt is a fun and easy way to get into the Halloween spirit.